Challenge: 501 Auctions struggled with the amount of manual work and excel spreadsheets it took to schedule, track, and manage their staff. 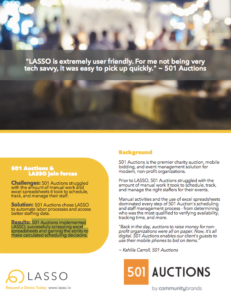 Solution: 501 Auctions chose LASSO to automate labor processes and access better staffing data. 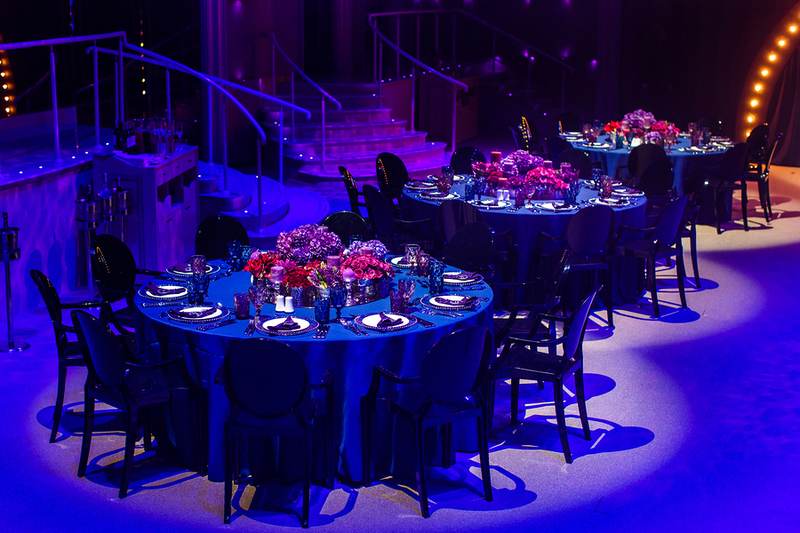 Results: 501 Auctions implemented LASSO, successfully scrapping excel spreadsheets and gaining the ability to make calculated scheduling decisions.